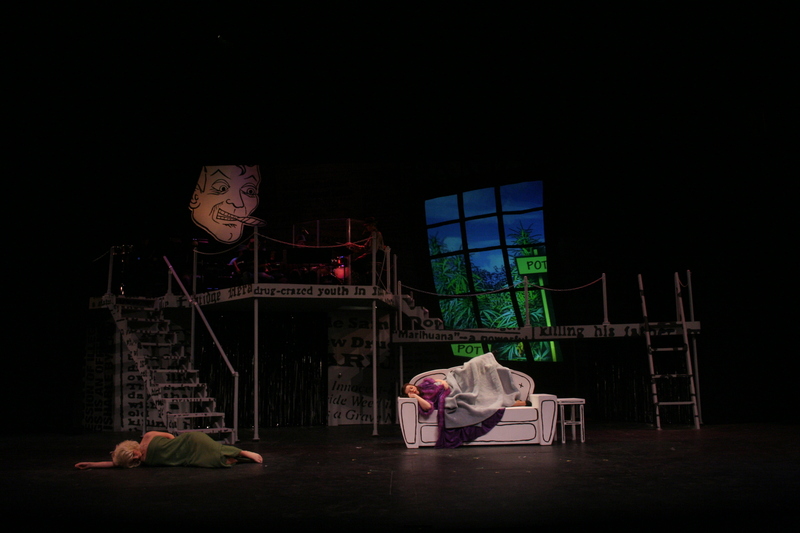 Mainstage Productions: Typically, the department produces three faculty-directed mainstage shows a year. These productions represent the best of historical and contemporary literature and cover a variety of styles and genres. The department also produces a large musical every other year and a large classical production (Shakespeare, Brecht, etc.) every other year. Auditions for all of the department’s productions are open to all WOU students. 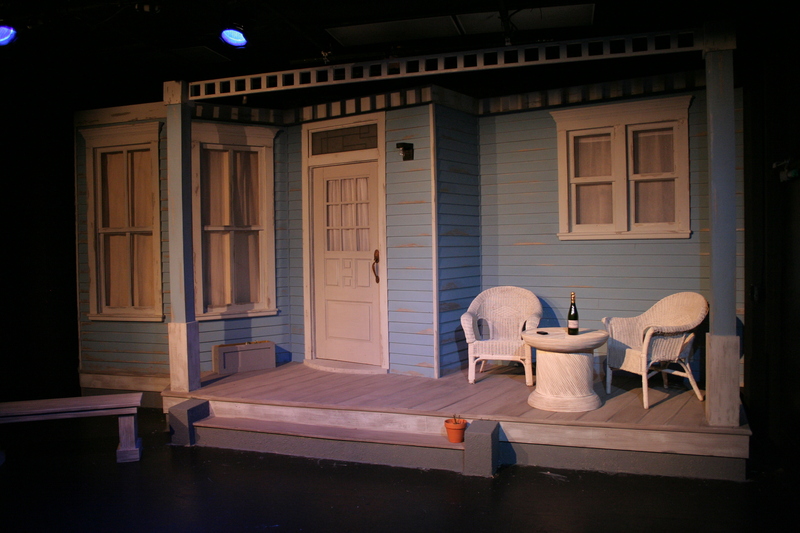 Majors and minors are expected to participate in departmental productions, either onstage or backstage, and credit is available for production work. 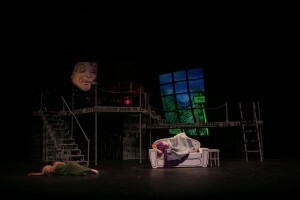 Above are images of “The Liar” (2011) and “Reefer Madness” (2010). Studio Productions: The department produces up to three studio productions each year, both faculty and student directed. The number of productions is dependent on the number of student directors available in any given year. 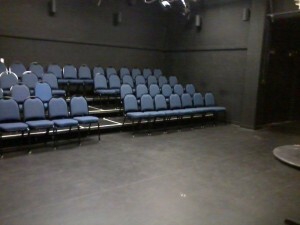 Students who qualify (i.e., who complete the directing sequence with high grades) may be invited to direct in the studio during the following year. Above are pictures of WOU’s Black Box Theatre as a classroom and as a performance space (“Proof” 2012).